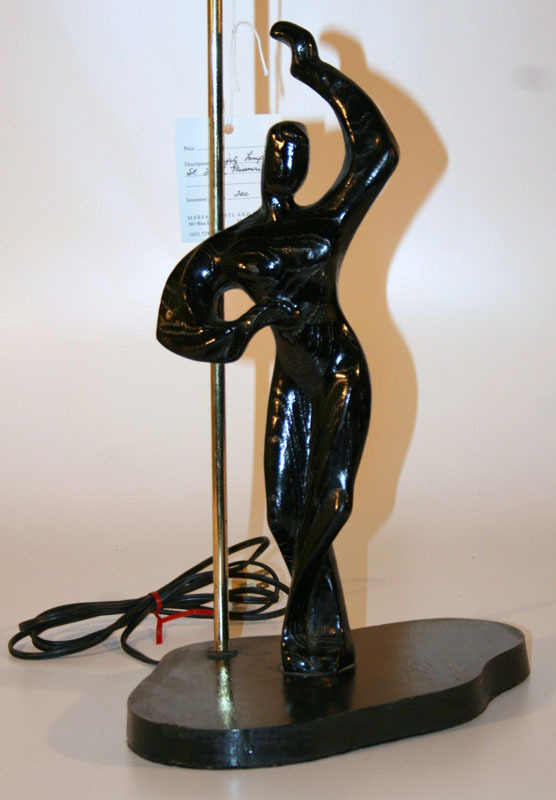 a clean design in a Mid Century Modern Heifetz Lamp. one of the iconic Mid Century Modern Heifetz Lamps with its original shade. an ageless lamp. See Lamp No. 0358 for the matching female. the hockey player in a Mid Century Modern Heifetz Lamp. 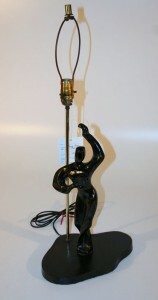 a beautiful Art Deco construction of movement and made into to a lamp by Heifetz. 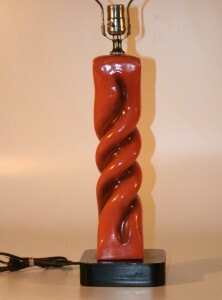 an example of the clean designs found in Mid Century Modern Heifetz Ceramic Lamp, an ageless lamp. Base only of a great Heifetz designed sports figure. The bases for a pair of Mid Century Modern Heifetz Lamps.